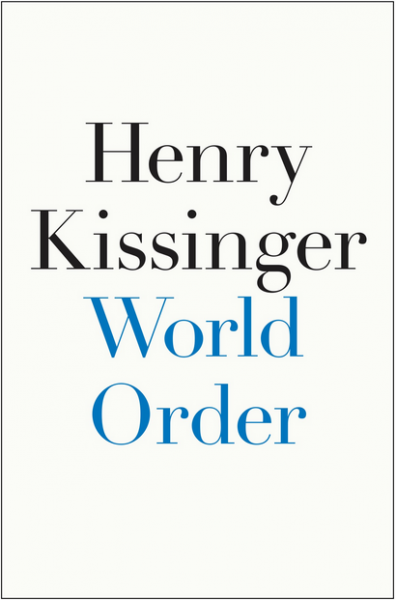 Henry Kissinger’s recently published World Order, is an extremely thoughtful meditation on international harmony and disorder. He validates the truism that wisdom comes with age. (He’s currently 91.) I doubt that he could have written this book at age 50. Kissinger relies on his great knowledge of history and his years of foreign service experience. The book is peppered with subtle, yet diplomatic digs at Obama’s foreign policy. He faults Obama’s inconsistency towards both allies (such as Saudi Arabia and Israel) and enemies (Putin, Assad and Iran), as well as the U.S.’s recent alternating engagements and withdrawals (Libya, Iraq/Syria). Kissinger notes that there never has been a true world order. Previous empires at their height of power defined the world in their own image — be it China, Rome, Europe or Islam, but they were not necessarily inclusive or collaborating with those they ruled. In defining America’s view of itself as a world power, he begins by quoting Harry Truman on what made him most proud. “We totally defeated our enemies, then brought them back to the community of nations.” Truman wanted to be remembered not so much for America’s victories, but for its conciliations. All of Truman’s successors have followed some version of this narrative. We see ourselves as a “benevolent superpower,” even if we don’t always live up to our ideals. Kissinger then discusses varieties of world orders, specifically the European Westphalian arrangement: a multiplicity of political units (some with contradictory politics) where none was powerful enough to defeat all the others. They checked each other’s ambitions through a general equilibrium of power. Later, as the U.S. entered this system, there was a shift from a strict balance of power to the “achievement of peace through the spread of democratic principles.” This system now encompasses many regions and cultures. Meanwhile, America struggles to define its relationship between its power and principles. We have a strong urge to withdraw from a confusing world. Yet in business and economics, right now the world is coming together. Globalization is complex and messy, but progressing. However, in politics, the progress is slower. Forces of anarchy have grown with potential to do great harm. Today, much of the Islamic world (defined as the Middle East, Pakistan and Afghanistan) struggles between joining the world community and fighting against it. Kissinger discusses the general failure of the Arab Spring and the Syrian Cataclysm as the inability to develop pluralistic institutions and leaders. Syria, in particular, has become a battleground between rival regional players manipulating militias. It is not about democratic government, but merely about prevailing or just surviving. Most Moslem Palestinians see the doctrinal commitment never to give up territory to non-Moslems as a tenet of their faith. This makes a two-state solution with a Jewish entity an intractable proposition, and is why every time that firm proposals such as Clinton’s Camp David negotiations or Olmert’s 2008 offer become formalized, the Palestinians reject them. It’s worse than politics, it’s religion. In his conclusion Kissinger warns that, “In an era of suicide terrorism and proliferating weapons of mass destruction, pan-regional sectarian wars must be deemed a threat to world stability, warranting cooperative effort by all responsible powers.” “The affirmation of America’s exceptional nature must be sustained. 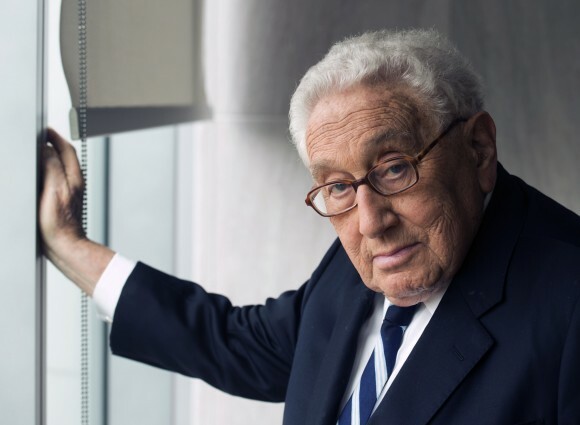 America, the modern world’s articulation of the human quest for freedom, and the geopolitical force for the vindication of humane values, must retain its sense of direction.” It is obvious that Kissinger worries about our future. Question: Do you agree with Obama’s withdrawal from Iraq and Afghanistan? I am thankful that HK was not a US citizen — history will not treat him kindly. Obama is not withdrawing troops from Afghanistan, in spite of the press reports. There will be a contigency of US troops there for a long time. Obama learned a lesson from his Iraq debacle. Wrong info, Brooks -Dr. Kissinger was born in Fuerth, Germany, came to the United States in 1938 and was naturalized a United States citizen in 1943. He served in the Army from 1943 to 1946. Obama’s move out of Iraq and Afghanistan was a mistake. Purely political to appease the party base. We have approximately 160,000 military personnel in 28 countries around the world. Most of these are in Germany, Japan and South Korea. We stay in those places to protect our interests and retain what we fought for. I have never in our history, seen a president so willing to spit in the faces of our military and compromise our standing in the world. No wonder he has a 15% approval rating among military ranks. I am intrigued by what Mr Kissinger has written, at least the quotes above and your comments or conclusions. Americans in general both in the streets of LA and the halls of Washington too often think that our “western world view” is the one and only world view and we get ourselves into hot water by our responses and expectation of quick authoritative responses based upon our own bias. Mr Kissinger seems to have the wisdom of many years and of many conflicts big and small in his own history and that which has gone on long before and shares these points in what you recount of the book. Obama as will many before, as well as I am afraid many after are looking to be judged in the short term as there is always another election or speaking tour engagement coming. The sad thing is that the western world and the western press base public commentary on “what have you done for me lately” and unfortunately a “damn the torpedo, full speed ahead” mentality. Our entering into arenas where we try to dictate the rules, but are not even aware of how the fight is judged will continue to put us in harms way and at conflict with many. Some who are in power today, and those patient over decades and centuries and only waiting for their chance to take action and change the power struggle. The world has always been a dangerous place, but with immediate awareness through social media, internet and the press those who want to make a point at any moment need only a cell phone and link to the internet. I think you got it just right. But not in my lifetime, and i fear, not in my kids or grandkids lifetimes. Will humankind ever find a balance? Perhaps not. Maybe that’s really how God made the Earth. It’s sad! And I’m basically an optimist. I think!